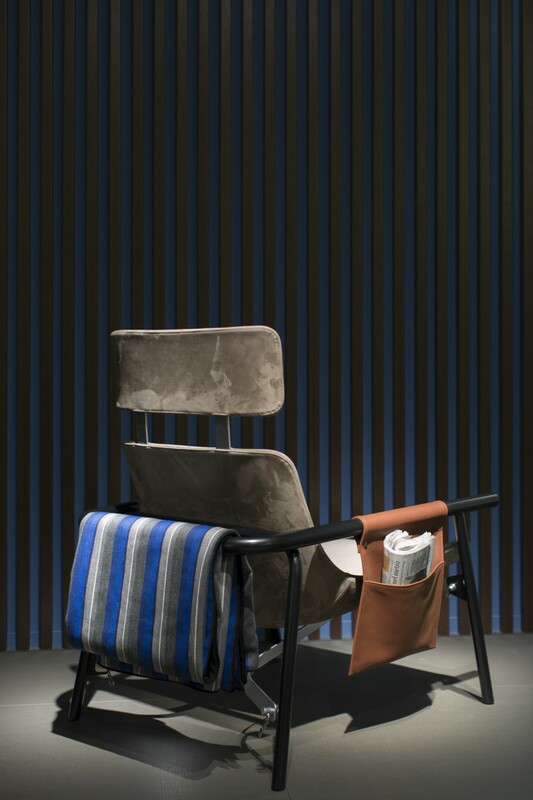 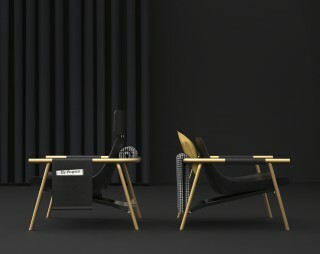 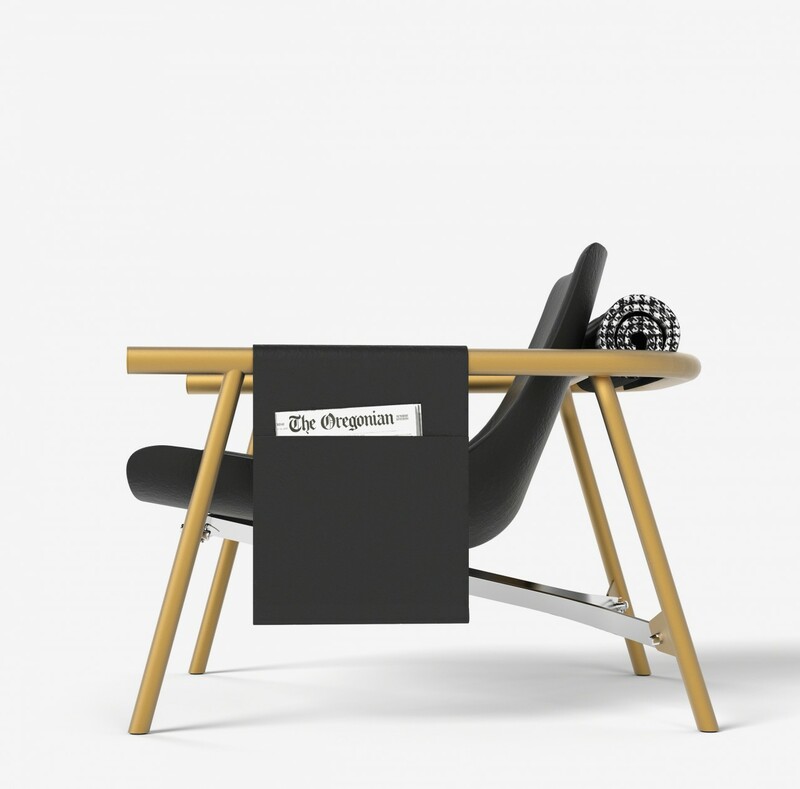 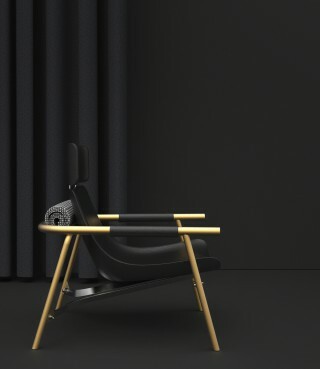 The “Eddy” lounge chair is inspired by the construction logics and aesthetics of the world of cycling, by vintage competition bikes, but also by the very graphic, back-to-basics minimalism of the trendy fixies. 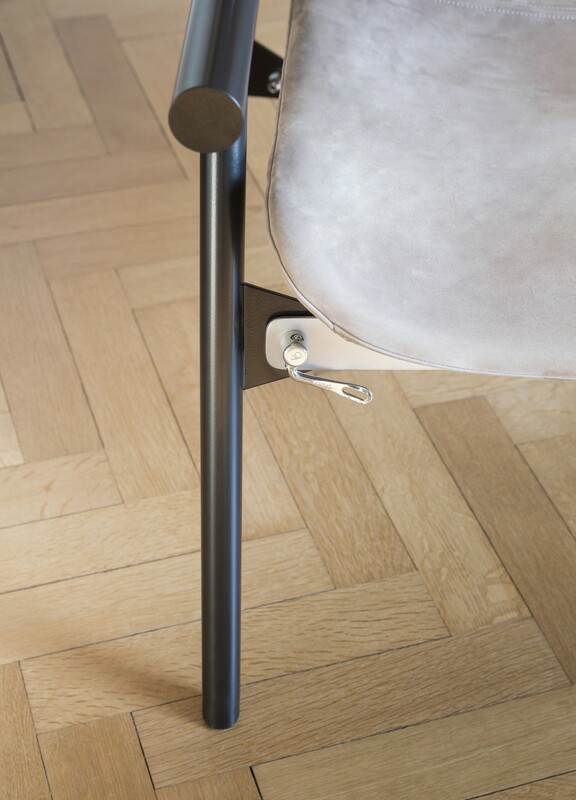 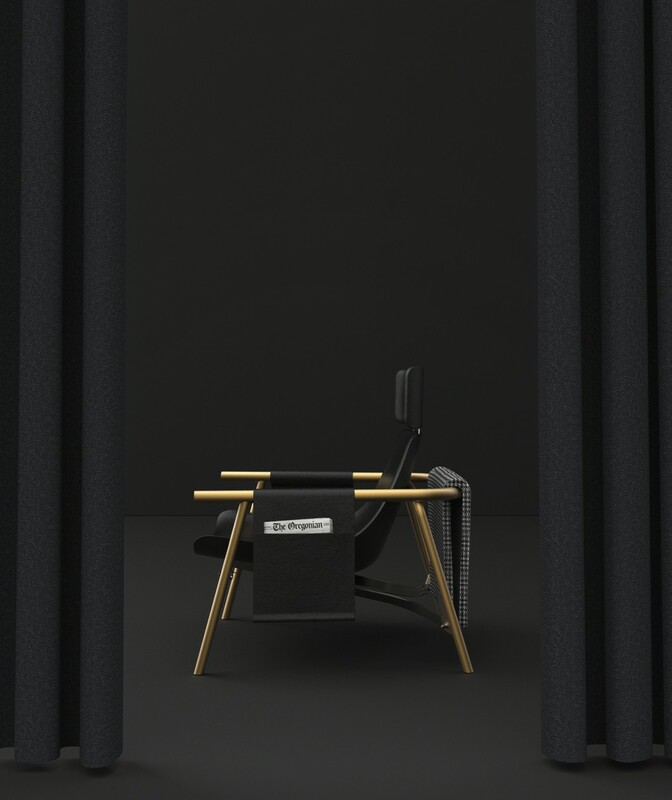 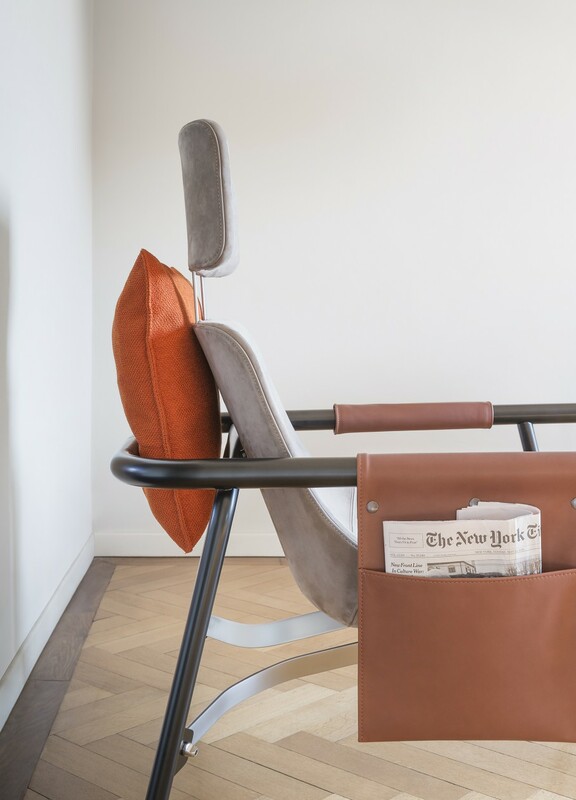 The “Eddy” chair also adds new functionalities and brings bespoke furniture to a new level drawing inspiration from the world of biking. The “Eddy” is named after the world-renowned Belgian cyclist who won the most races ever in the world of cycling and raced for an Italian team during a large part of his career. 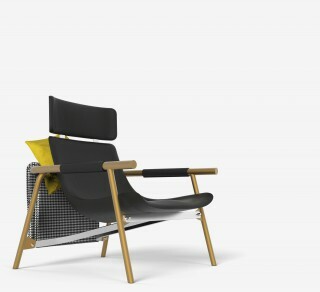 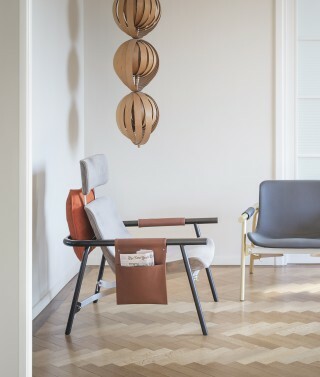 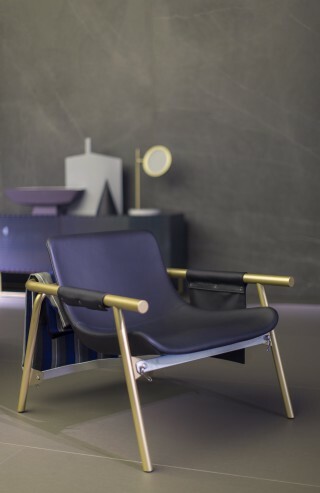 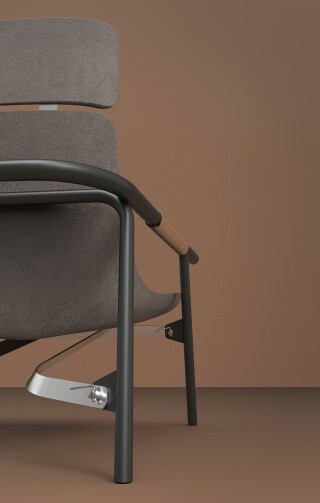 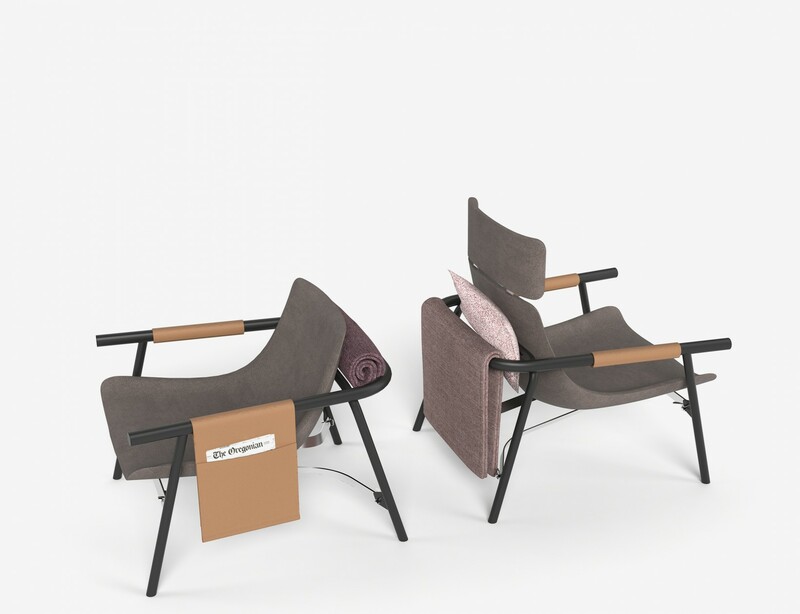 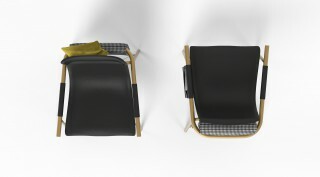 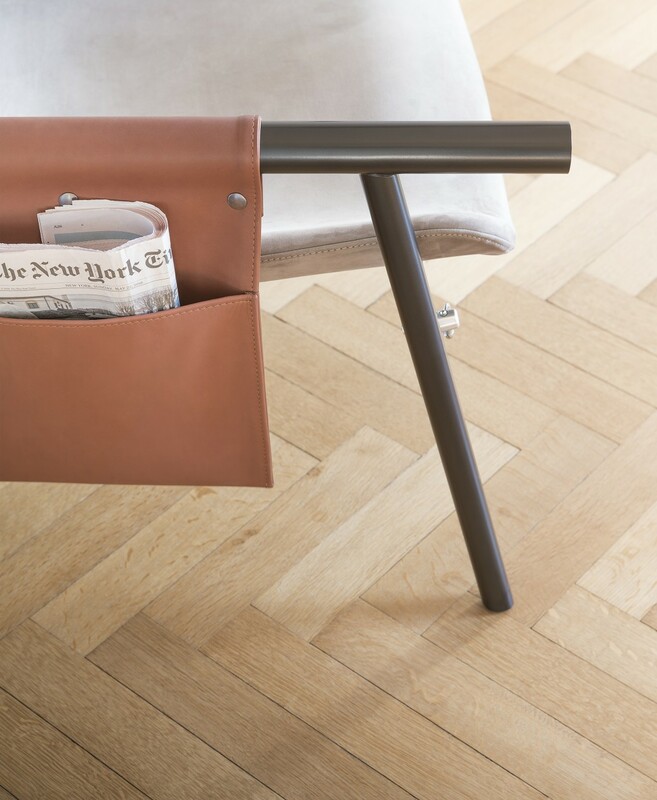 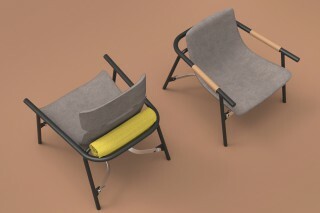 This lounge chair is built around a tubular metal structure following a logic close to that found in bikes, while the shell is designed to offer the same user-friendly comfort of a high-quality bike saddle. 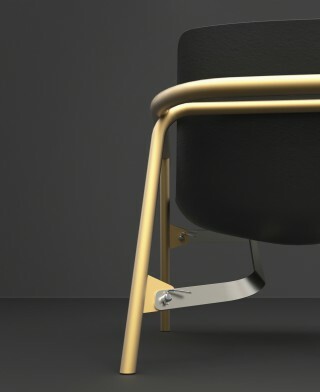 The various components of the metal structure are connected together using modified “quick release locks” commonly used to connect the wheels to the structure. 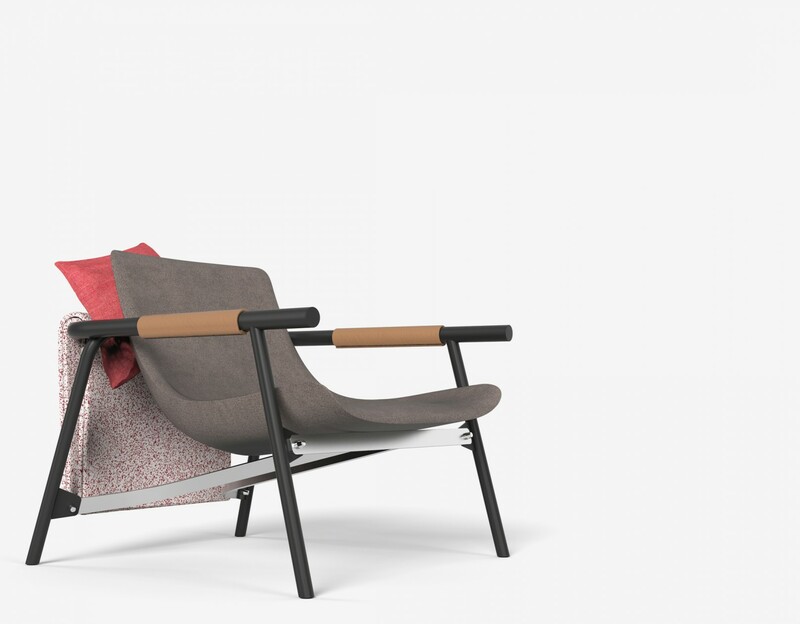 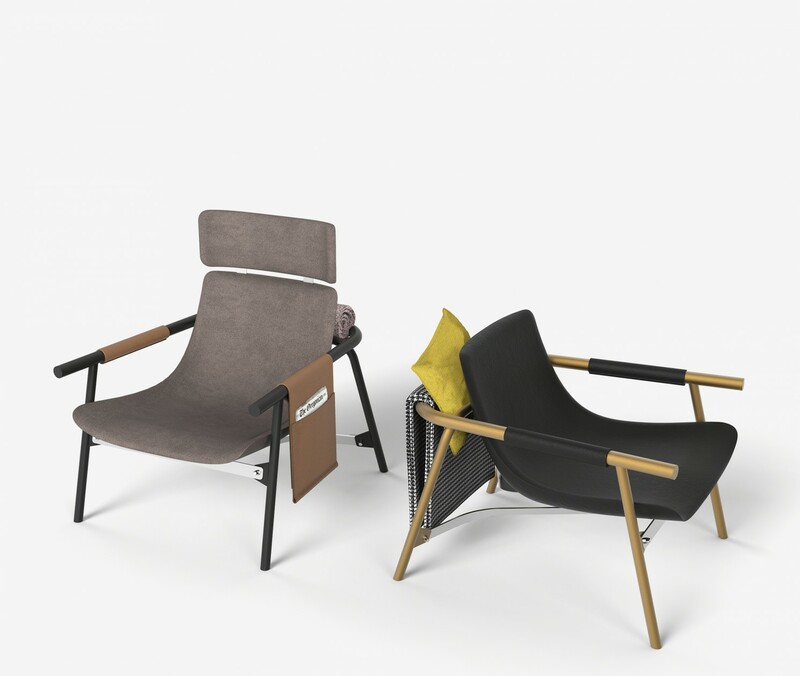 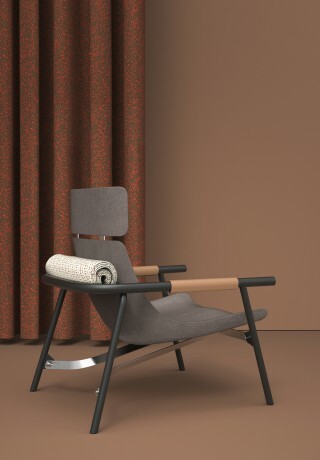 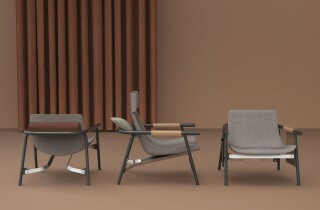 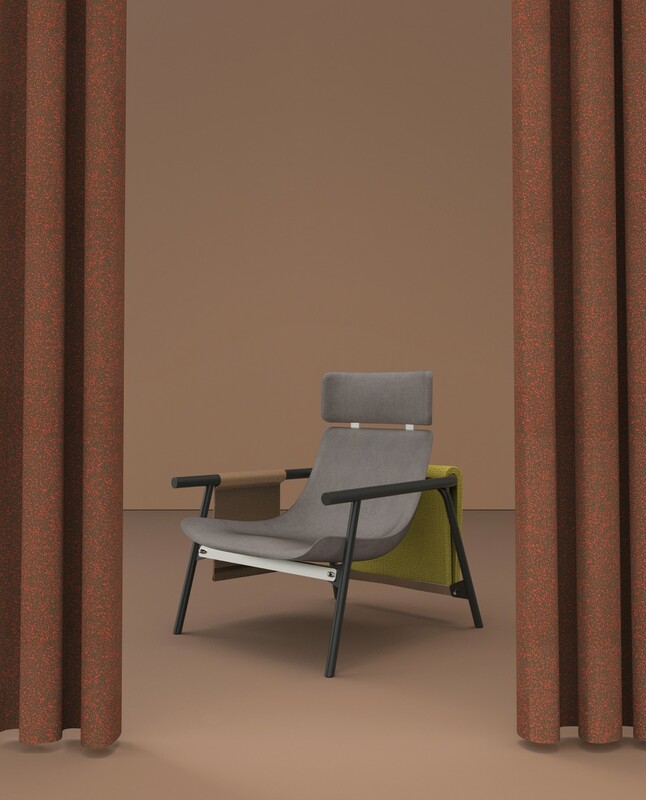 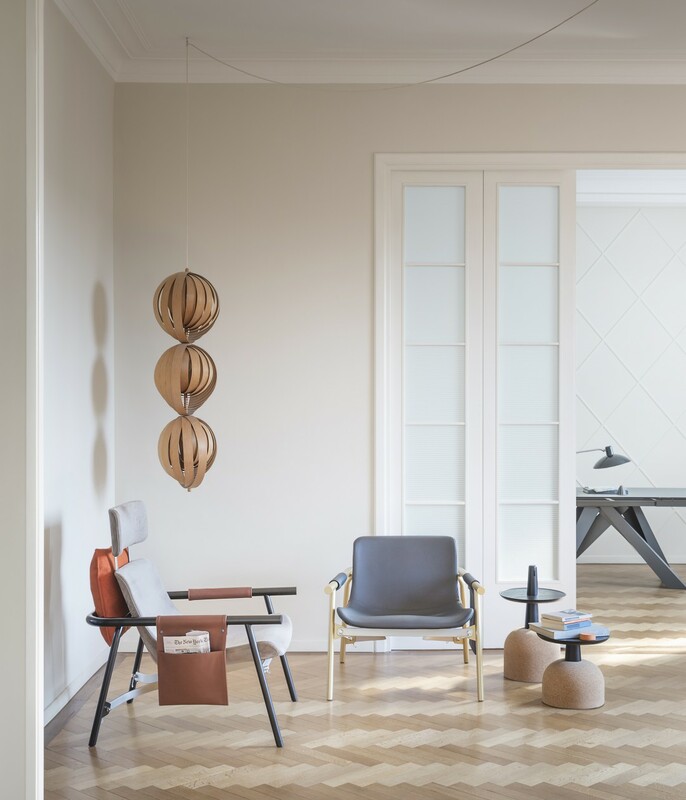 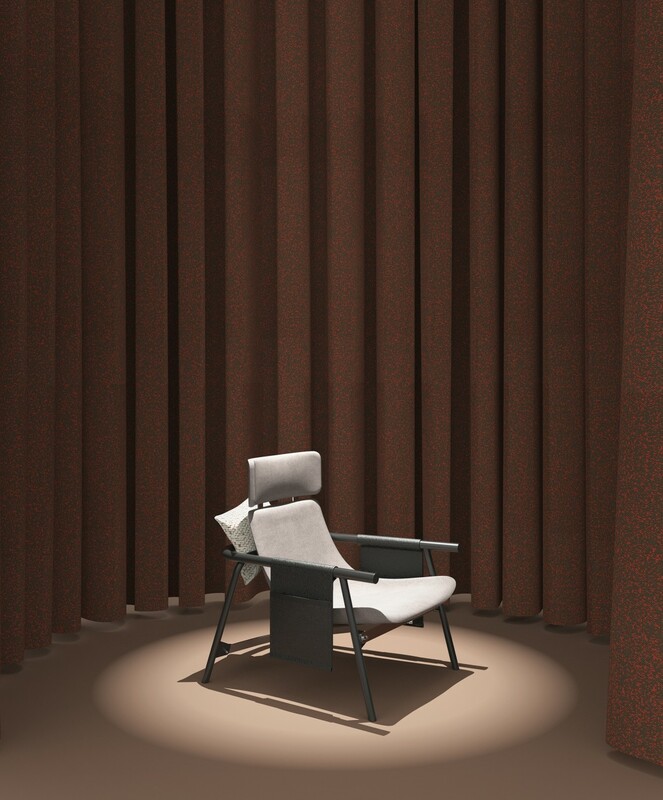 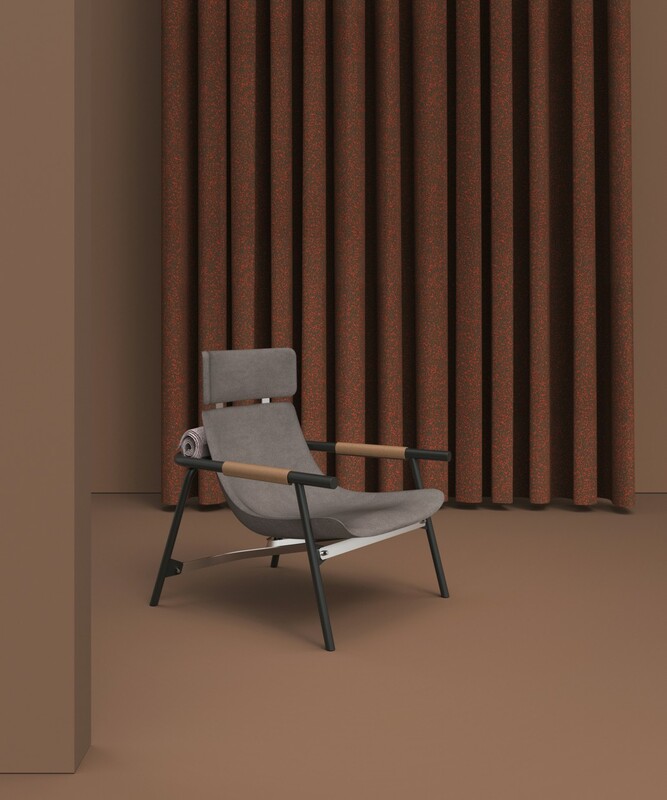 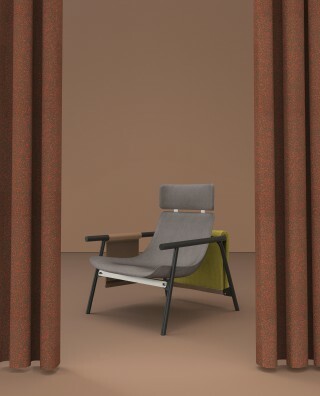 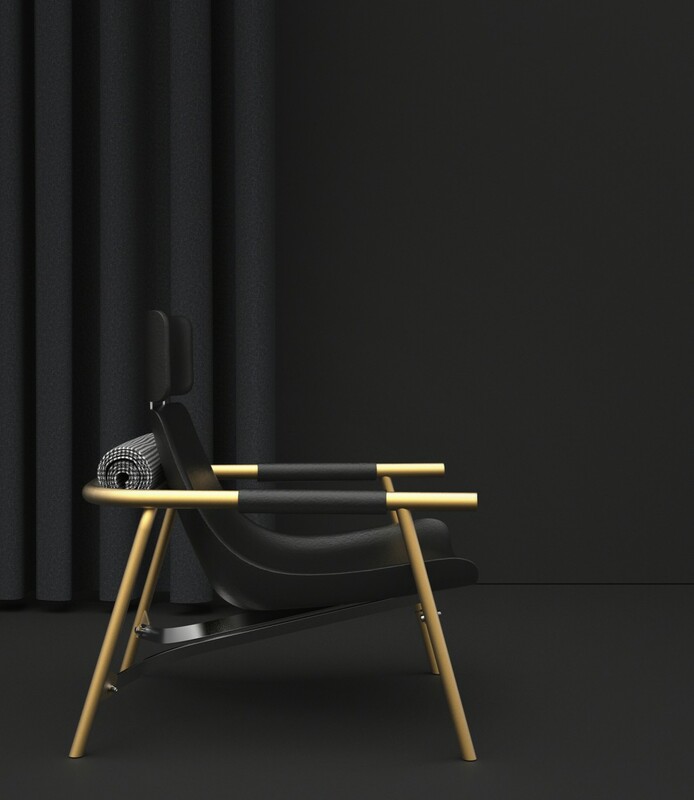 The use of separate elements to build the structure of the lounge chair offers the opportunity to play with the design, creating various rich combinations of colours and finishes. For added comfort, a plaid can be hung or rolled at the back of the seat, leather side pockets can be added, and a cushion can be tucked in at the back. 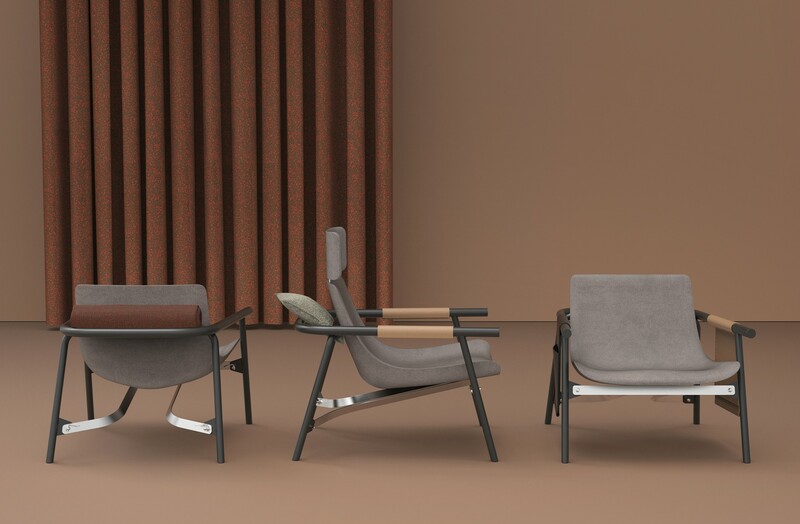 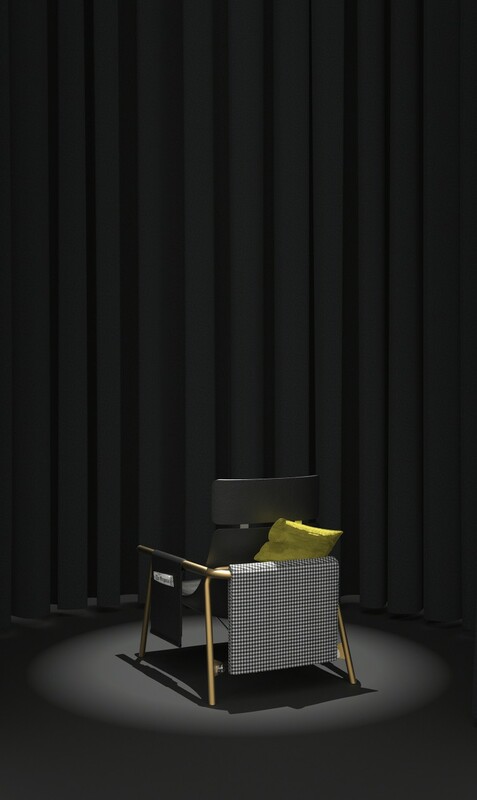 All these elements add layers of warmth, comfort and customization and create a new relationship between the user and the piece of furniture. 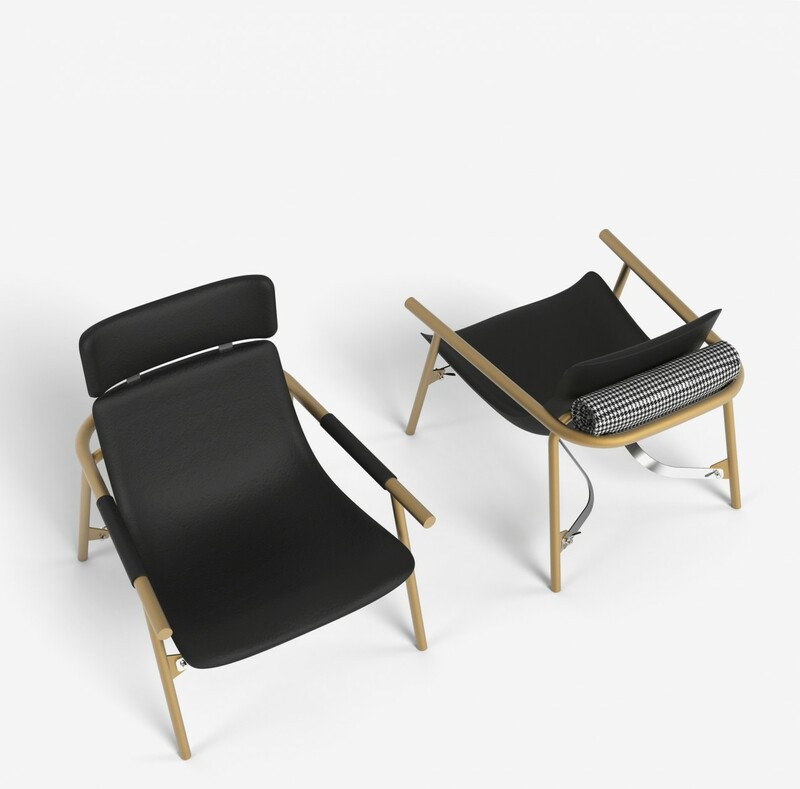 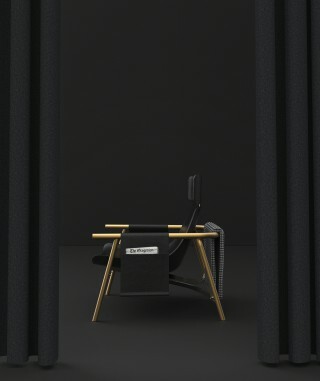 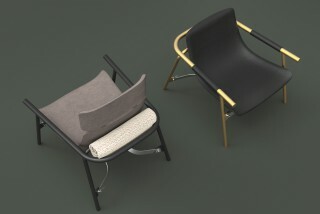 These various elements also help to create the lively and very distinctive nature of this lounge chair. 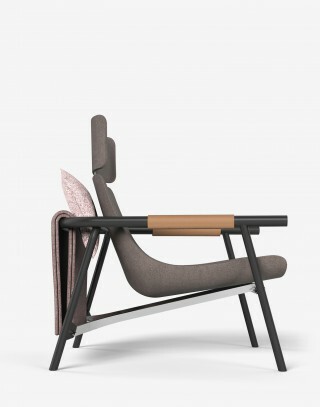 The seat is offered with or without a headrest. It is a piece that could equally grace a modern home or a public space such as a hotel lobby to create a cosy, homely feeling.